I've only used these pants a couple of times but have been happy so far. These are super comfortable and have kept me just warm enough to enjoy the ride. I have not over heated nor was too chilly. Temps have been 40-55 degrees. This is my first pair of knickers, and will definitely not be my last! 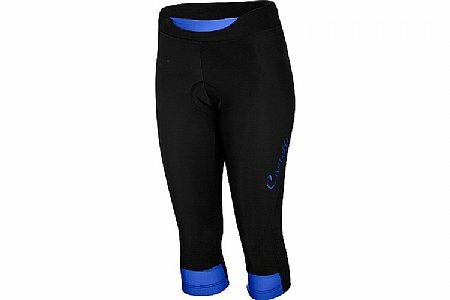 The chamois is comfortable (although I have yet to take it out for more than 60 miles), the waistband is high enough in front to be comfortable, and the leg openings don't bind up around my knees. I've heard that Castelli runs small, but that's not my experience. I wear a medium in all other brands, and so I ordered a medium of these as well, which fits just fine. I recently got my wife into biking and decided to buy her some warm pants along with some other gear. I found these knickers were competitive in pricing and had good reviews so I made the purchase. Upon delivery, I realized I got the wrong size but the return process was super easy, and when I called customer service, they were very helpful. I was able to find the right size and had the original purchase returned with money back all within about a week. Wife said it felt great and she was warm in 45 F degree weather.